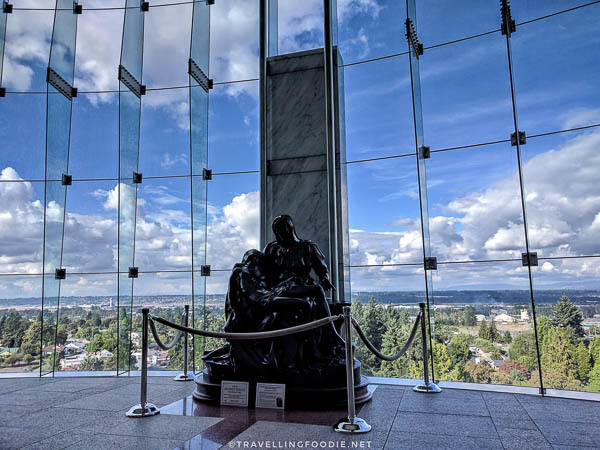 When I visited Seattle for the first time, we also did a short two-day trip to Oregon as part of our road trip. In Oregon, we checked out both Portland and Cannon Beach, one of the World’s Best Beaches. 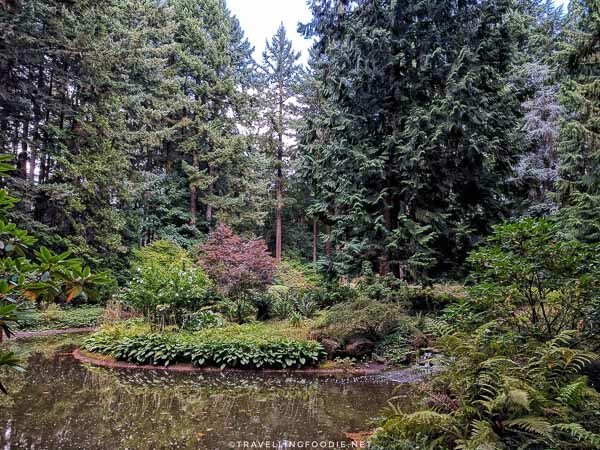 Aside from going on a food trip in Portland’s popular restaurants, we also visited some of the popular gardens there. I enjoy city gardens because it’s actually a great nature getaway without driving too far unlike a national park. Once you’re inside the garden, you feel you are transported outside the hustle and bustle of the city. I kind of wish Toronto had more of these. 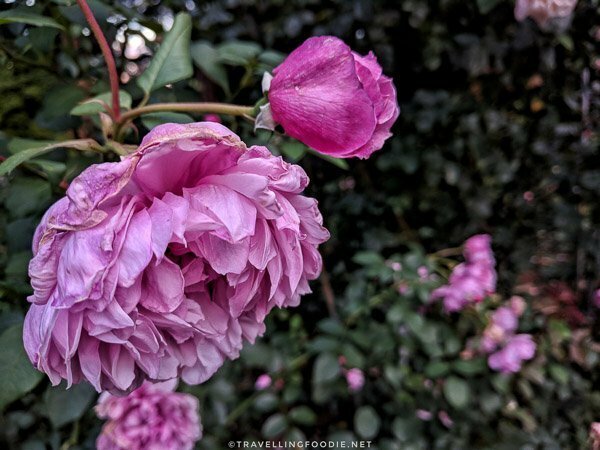 In one day, we visited three beautiful gardens out of more than 200 parks and gardens in the city. 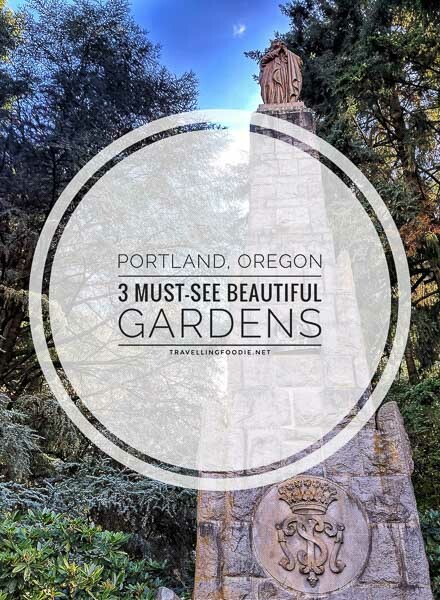 They are definitely must-see attractions and some of the best things to do in Portland. 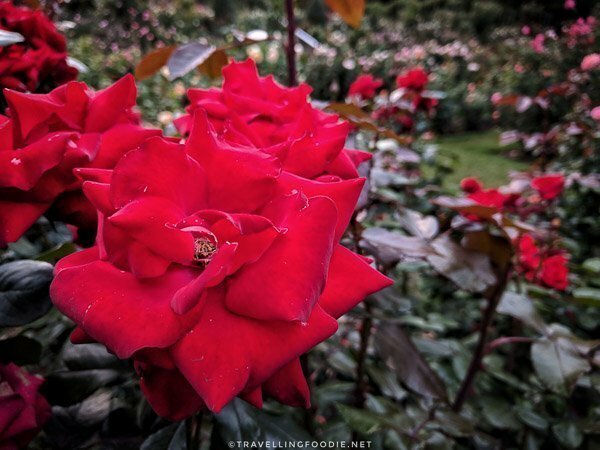 Located in downtown Portland in Washington Park, the International Rose Test Garden is the United States’ oldest official continuously operated public rose test garden with over 10,000 rose in a 4.5 acres of parkland. Travelling Foodie Tip: Go after 5pm when parking becomes free and the crowds have died down! Also, the free Explore Washington Park shuttle stops here from April through October. I’m not too familiar with flowers, but I definitely admired the many varieties we saw. We actually saw a lot of people doing photoshoots here. There was also a very interesting area called the Shakespeare Garden which features herbs, trees, and flowers found in William Shakespeare’s plays. At the edge of the garden, you can find amazing panoramic views of the city. You should also check out the gift shop where you can find a beautiful view of the garden. 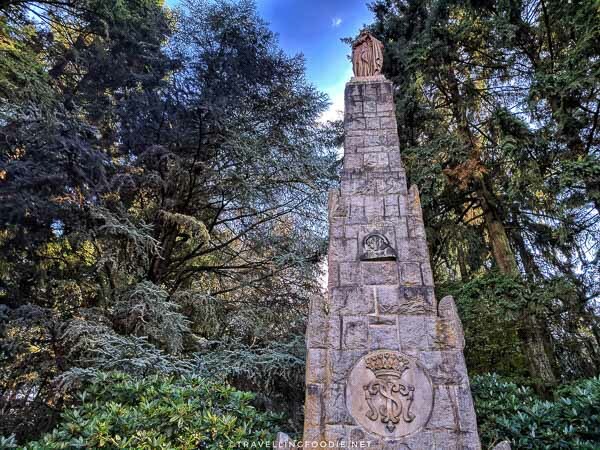 In 62 acres of gardens, The Grotto is a national Catholic shrine and an internationally renowned Catholic sanctuary dedicated to Mary, Our Sorrowful Mother. This was my most favourite out of the three we visited! 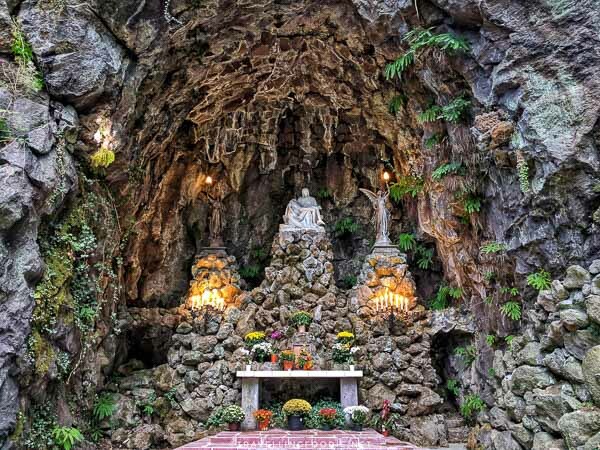 Don’t worry – you don’t need to be Catholic to visit this place, and, yes, you will enjoy this even if you’re not Catholic. The garden is so beautifully done. 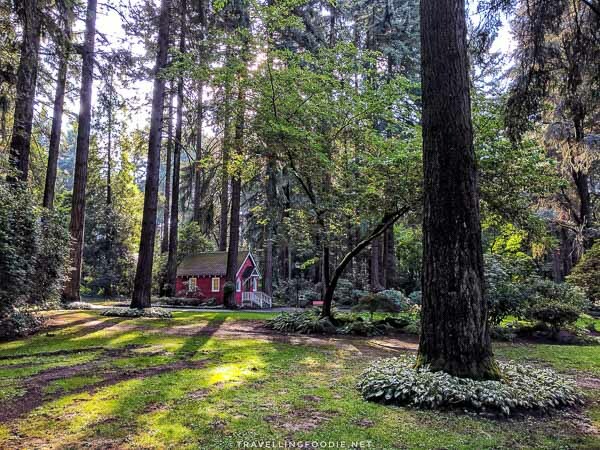 It really feels like you are not in the city anymore but in a peaceful sanctuary and oasis. There are actually two levels to the Grotto. The Plaza Level (ground) is free to public and has the visitors center, The Grotto Gift Shop, The Grotto itself, The Chapel of Mary (closed for renovation during our visit), and the Stations of the Cross, a walking trail near the parking lot where you’ll find bronze bas-relief sculptures depicting the 14 Stations of the Cross. 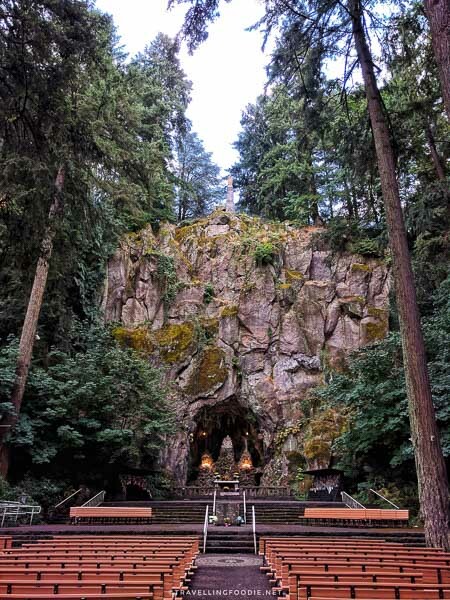 The Grotto rock cave is carved into the base of a 110-foot cliff. 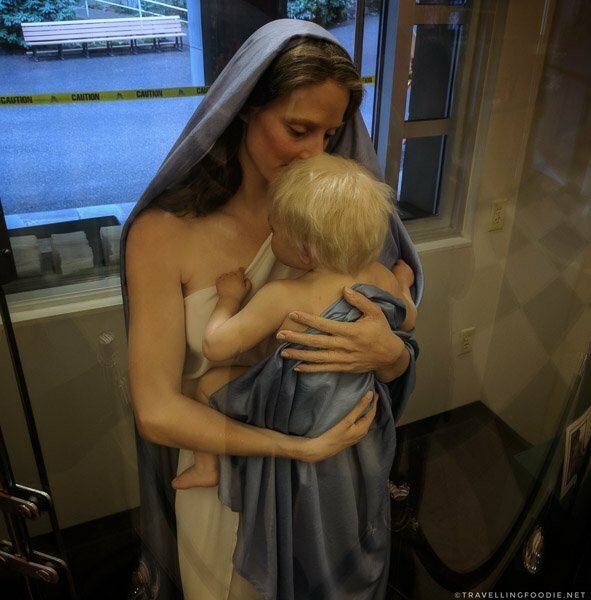 A replica of Michelangelo’s Pietà is featured in its center. Though you have to pay to see the upper level, I highly recommend you to go! You buy the tokens at the Gift Shop and take an elevator 110-feet up to the upper level. It’s worth more than the $6 you’re paying. When you exit the elevator, on your left, you will see the Meditation Chapel, a 1,500-square feet chapel built of granite in 1991. Take a seat on the comfortable meditation chairs and admire the view. 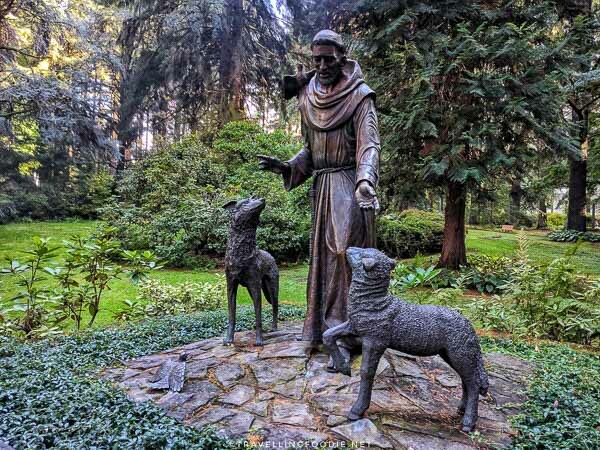 The Peace Garden comprises the majority of the upper level, featuring a large pond and flowing stream, and the individual bronze plaques depicting the Mysteries of the Rosary: Joyful, Sorrowful, Glorious and Luminous mysteries. 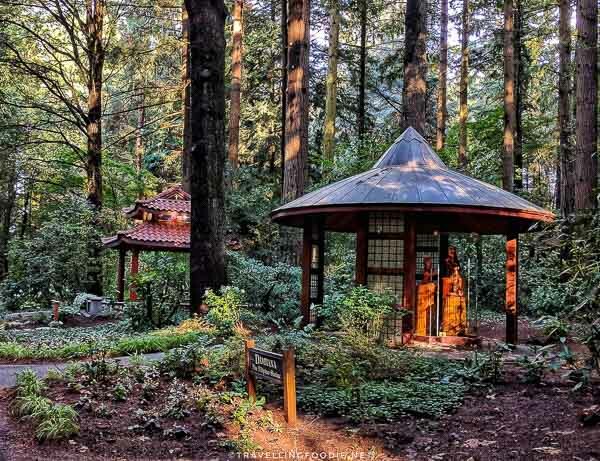 This is where you feel like you’re in a sanctuary in a secluded forest. It is so quiet and peaceful, and you are surrounded by just nature. As you explore, you will find hundreds of intricately carved statues using different materials like bronze, marble and wood. This scene sort of reminds me of the Little Red Riding Hood. What you see here is the St. Anne’s Chapel, built in 1934 to honor St. Anne, the mother of Mary. St. Anne’s Chapel now houses reproductions of Madonna paintings from around the world. 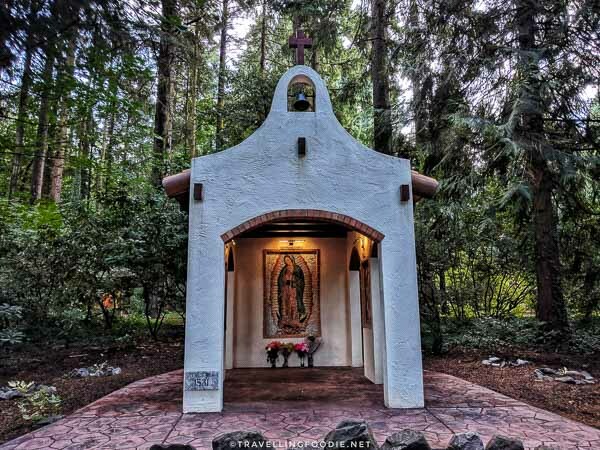 One of the most popular sections for Catholic visitors is the Shrines, where you will see various shrines of Mary, Our Lady, from different parts of the world. Coming from the Philippines, we were very excited to see the shrine from the Philippines: The Dambana, Filipino Faith Shrine, designed by Hermes Mallari. The Dambana, or altar, has a traditional Filipino woman’s head gear (salakot) on top and the capiz (flat seashell) walls which are commonly used on windows in Filipino homes. 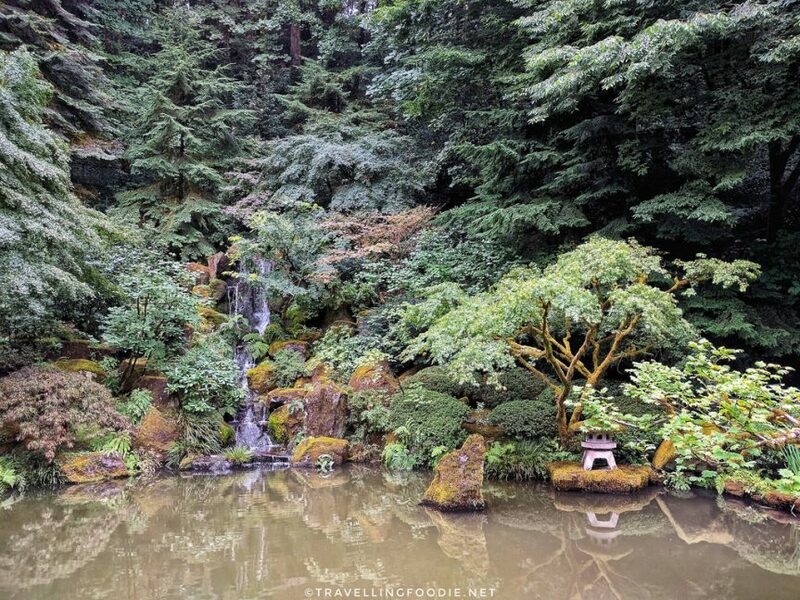 Across the International Rose Test Garden, the Portland Japanese Garden takes you to a 12-acre nature haven with eight separate garden styles, including an authentic Japanese Tea House. 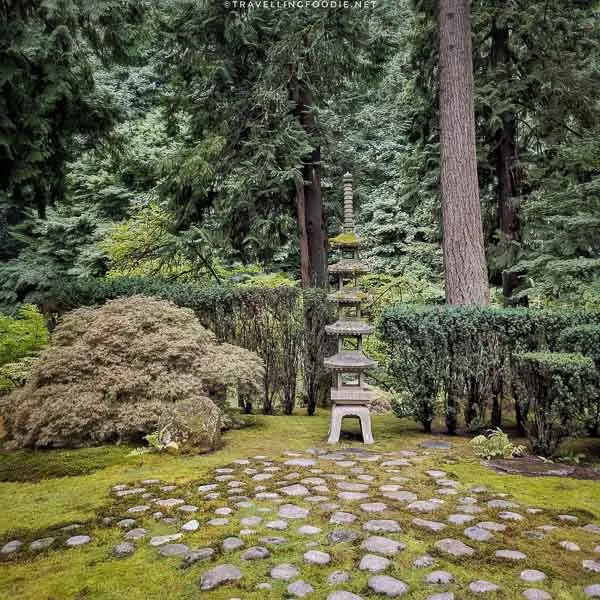 If you haven’t been to a Japanese garden before, then this is a must. 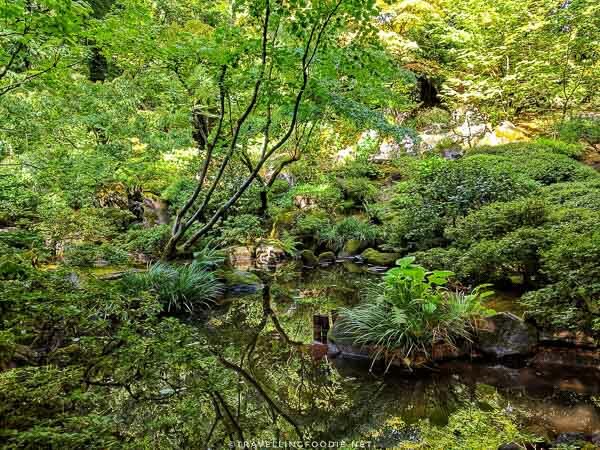 Apparenty, it is “the most beautiful and authentic Japanese garden in the world outside of Japan.” according to His Excellency Nobuo Matsunaga, the former Ambassador of Japan to the United States. 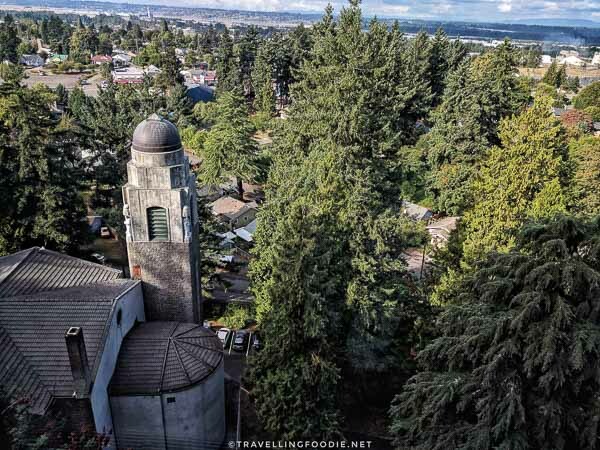 Travelling Foodie Tip: Parking is not free, but you can get here via the free Explore Washington Park shuttle as well. 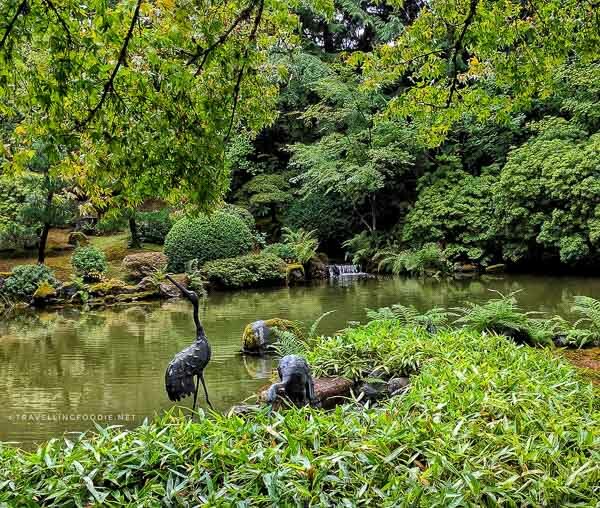 Aside from the gardens, you will get immersed in Japanese arts, culture and food here since they also have a cultural village, the learning centre, umami cafe and the gift shop. 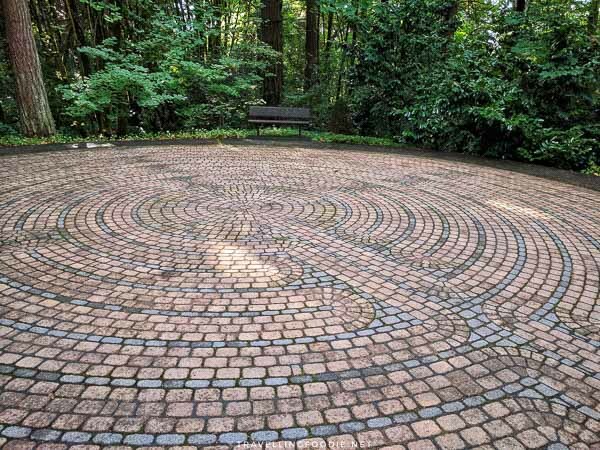 Sand and Stone Garden is designed based on the 2,000 year old Indian tale about a previous incarnation of Buddha called Jataka Sutra. The design depicts Buddha sacrificing his life to feed the starving tigers. There is a guided tour included with admission. I highly recommend you do it as that’s the best way to learn about the garden and the Japanese culture and elements behind them. Did you know? 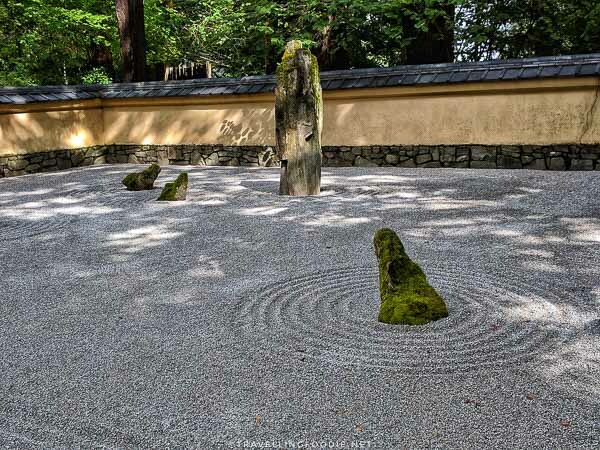 There are 5 boxes on the stone lantern to represent Japan’s 5 directions: North, South, East, West and Center. Strolling Pond Garden has Japanese symbolisms of Hide and Reveal. The mini waterfalls can be heard along the pond, but can only be seen (revealed) at a certain part of the pond. 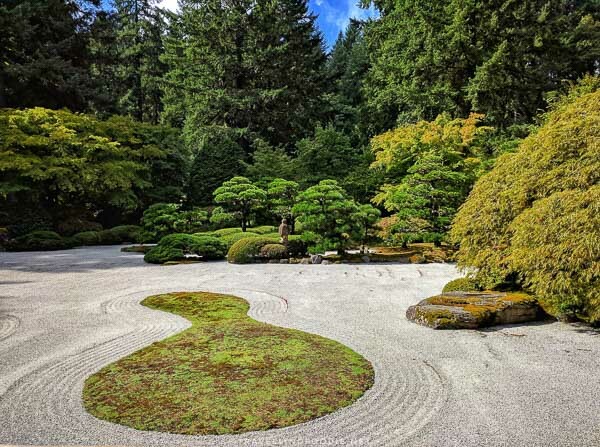 Have you been to these gardens? 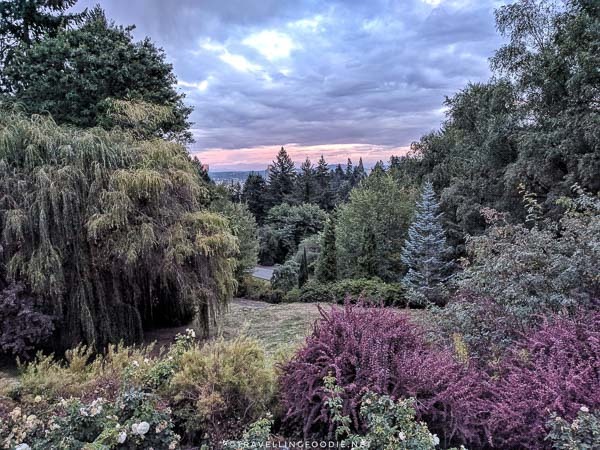 What’s your favourite garden in Portland, Oregon? 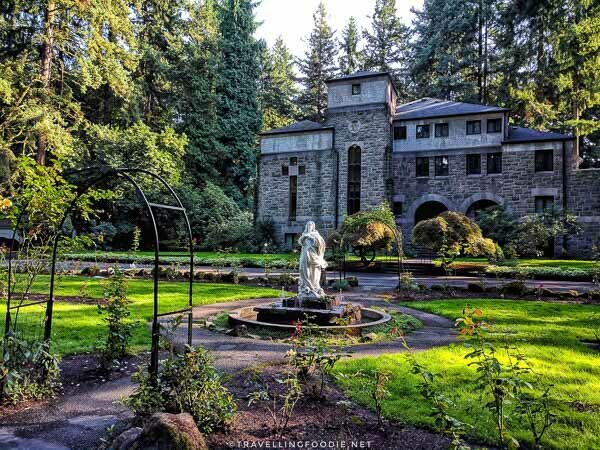 Posted on April 17, 2018 January 2, 2019 by Travelling FoodiePosted in Oregon, Portland, Travel, USATagged guides, nature.